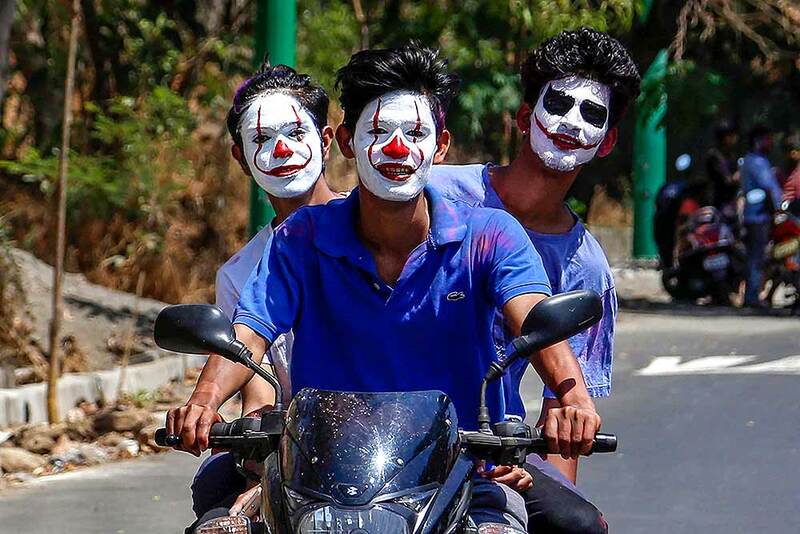 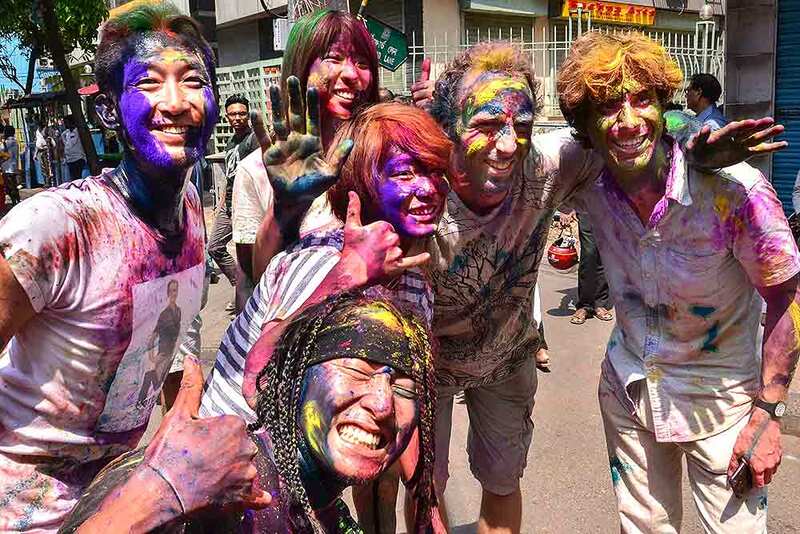 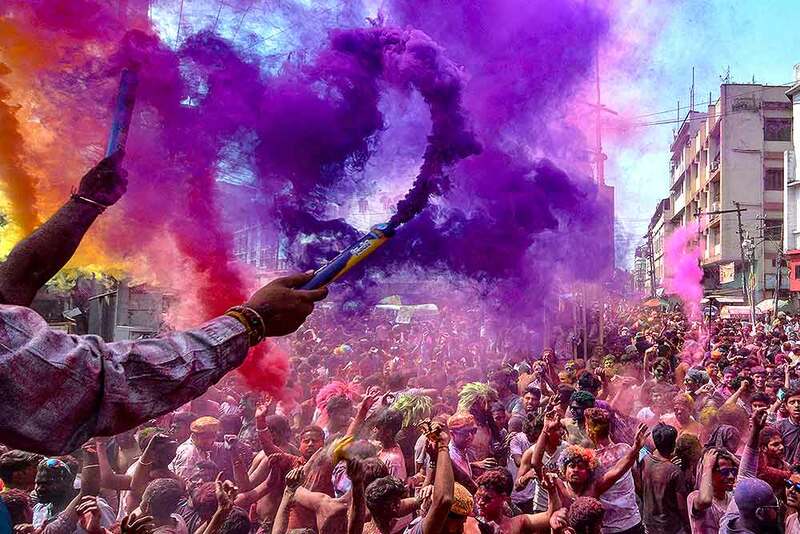 People play Holi during a celebrations in Thane. 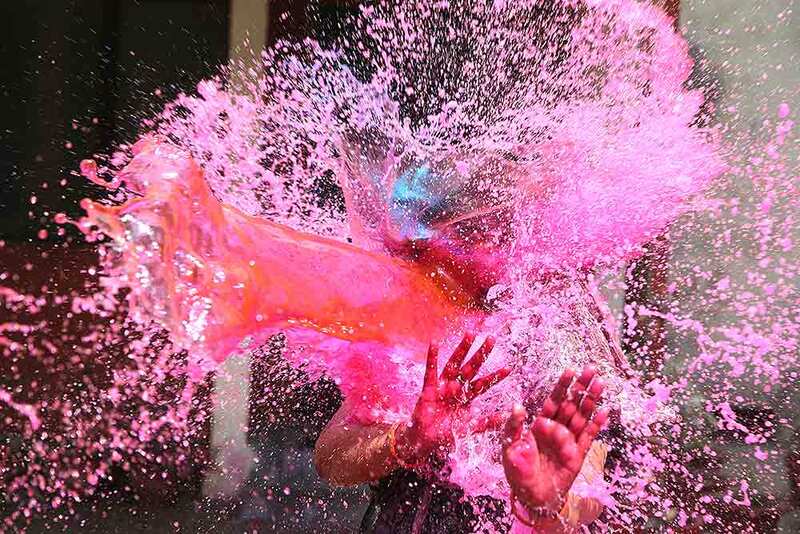 People splash colour water at each other during 'Holi' celebrations in Chennai. 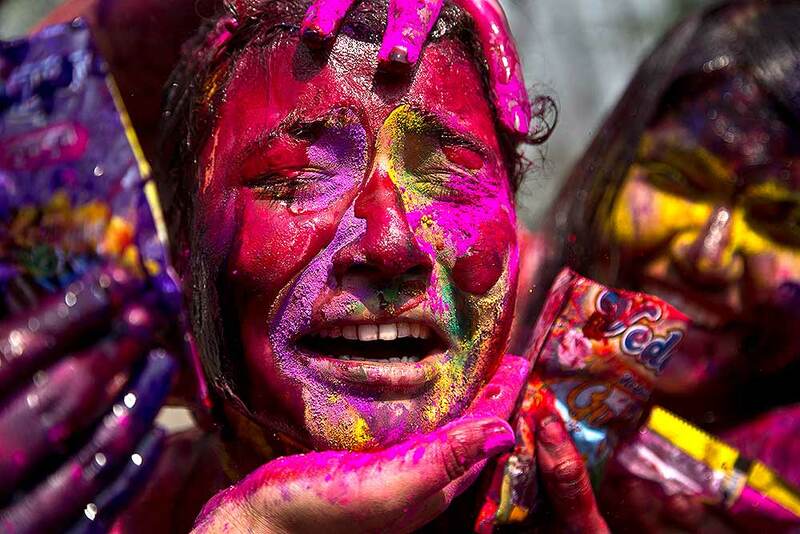 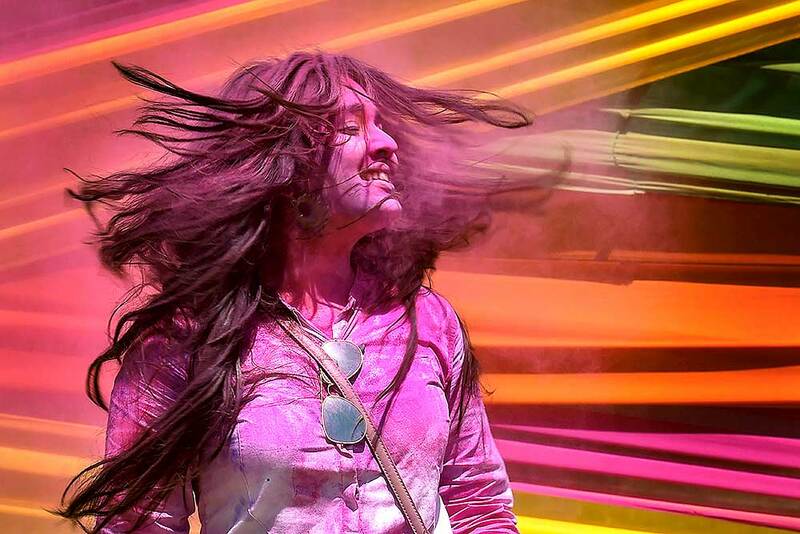 A girl is smeared in colours as she celebrates Holi, in Ahmedabad. 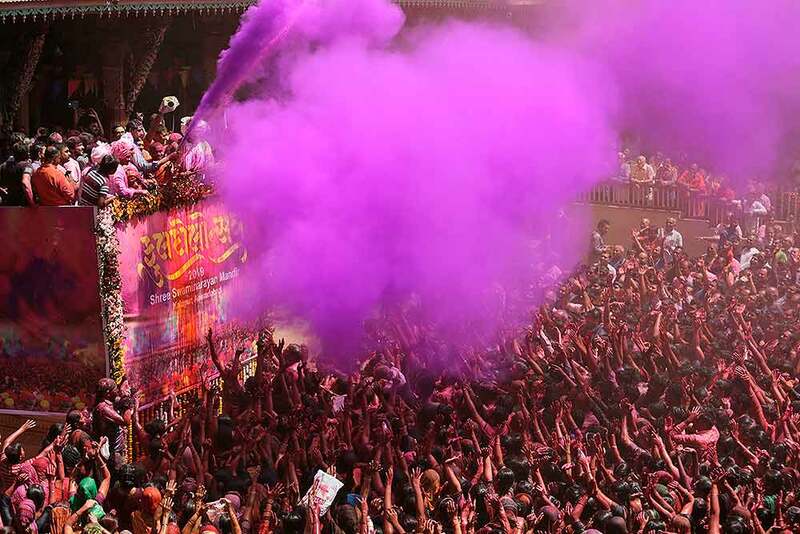 Mumbaikars celebrate Holy in Mumbai. 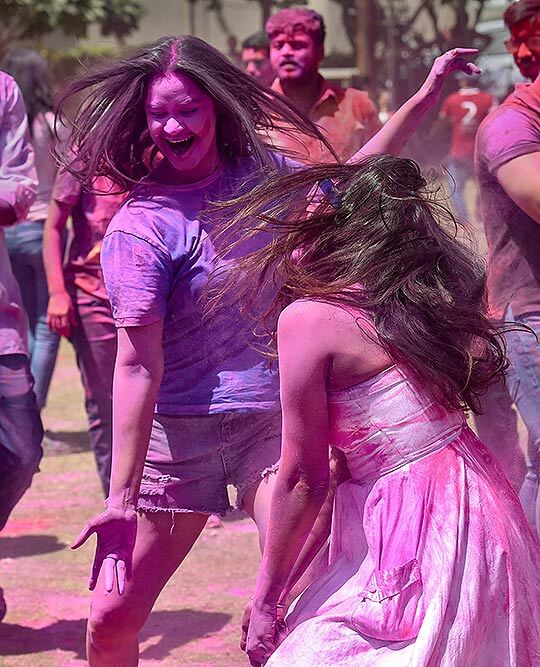 Girls play holi during 'Holi' festival celebrations, in Ahmedabad. 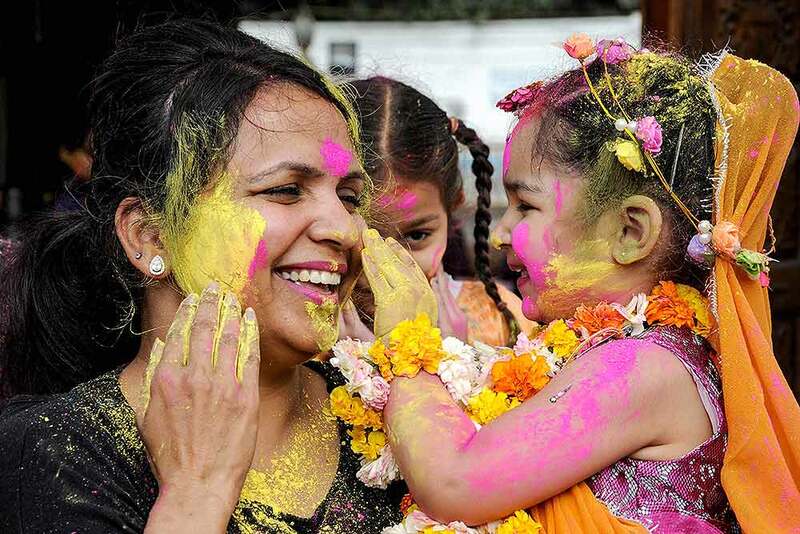 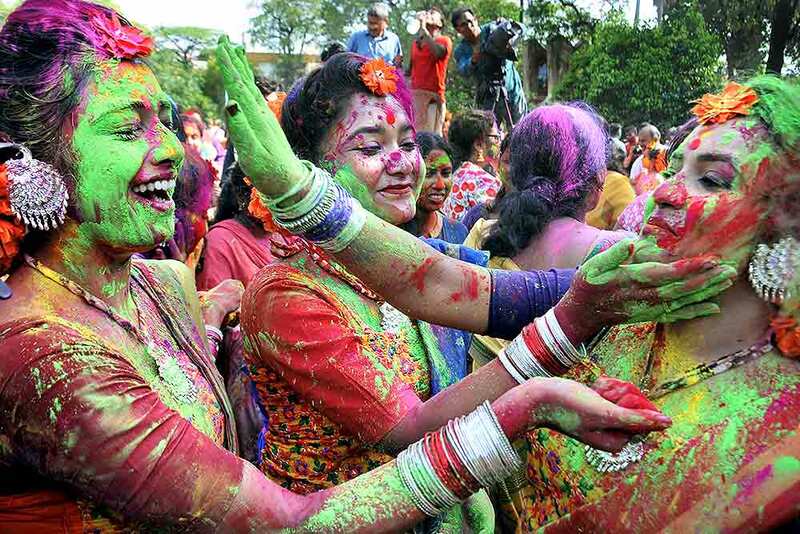 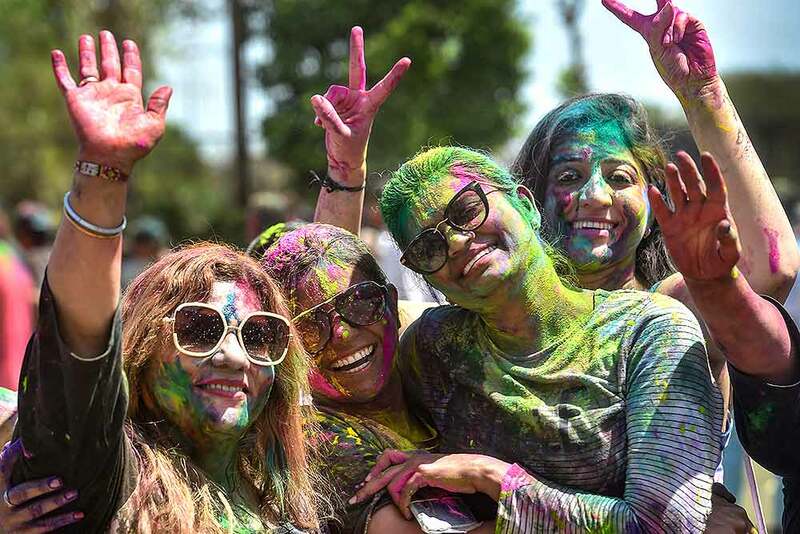 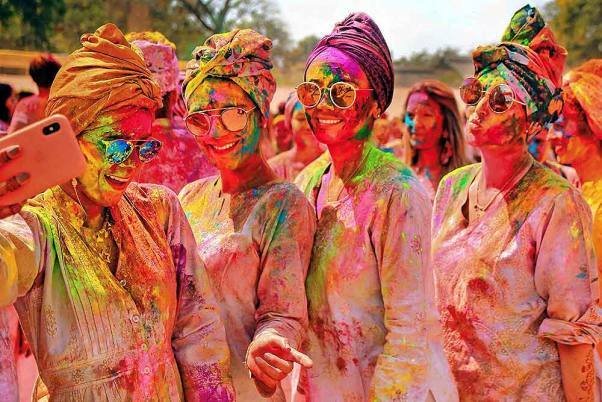 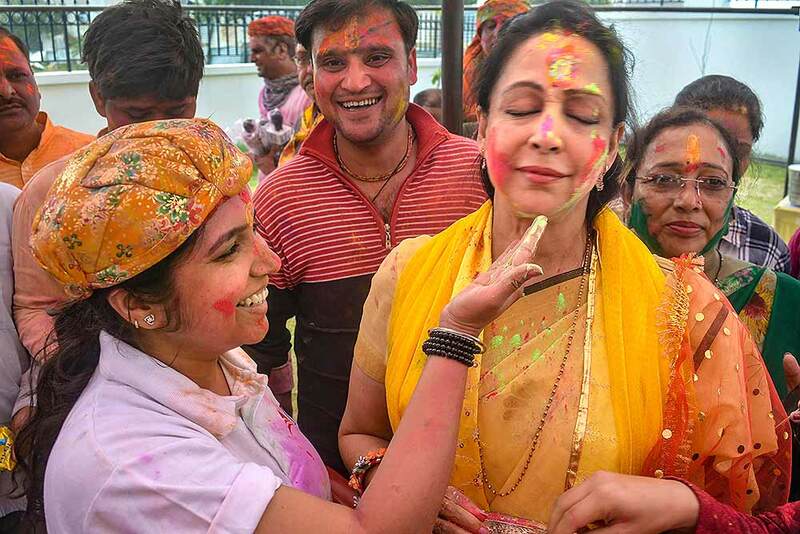 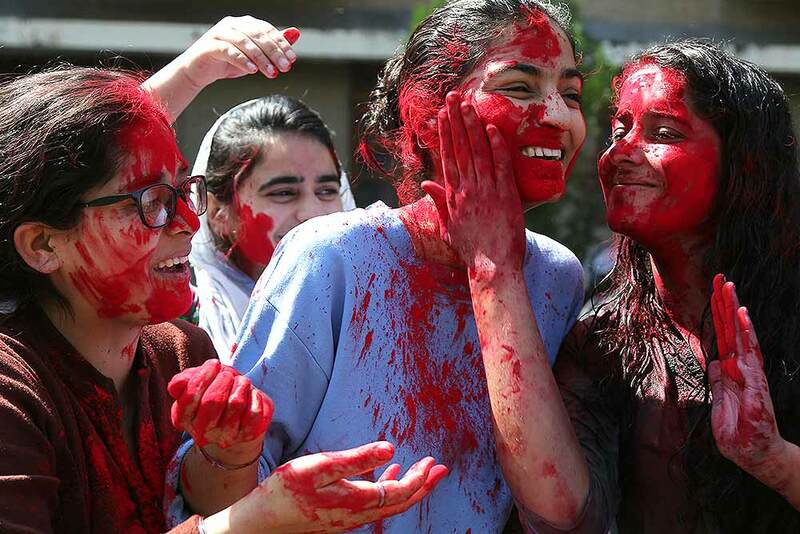 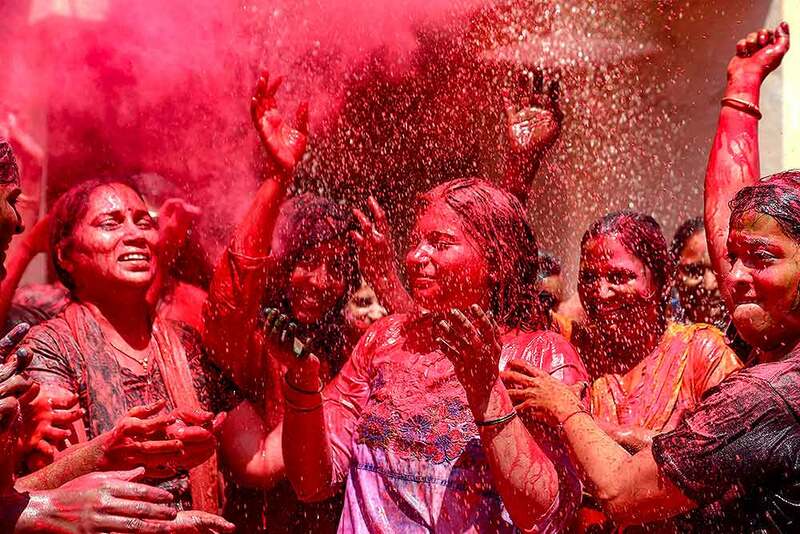 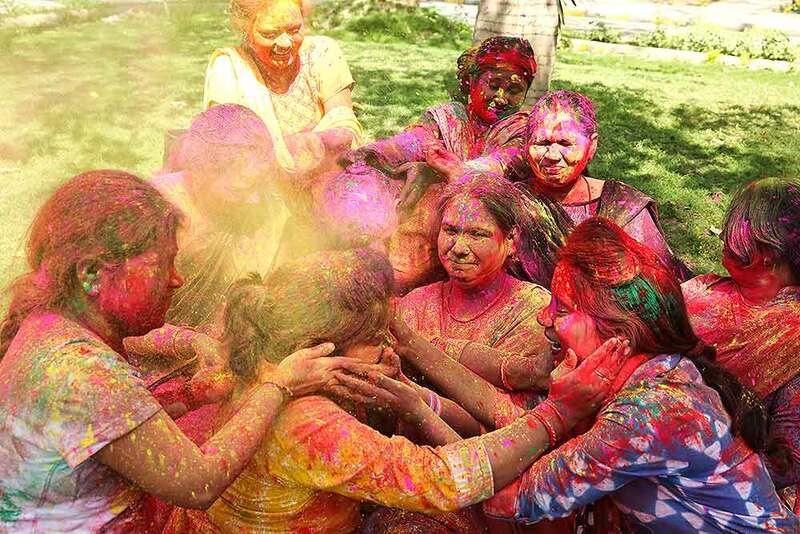 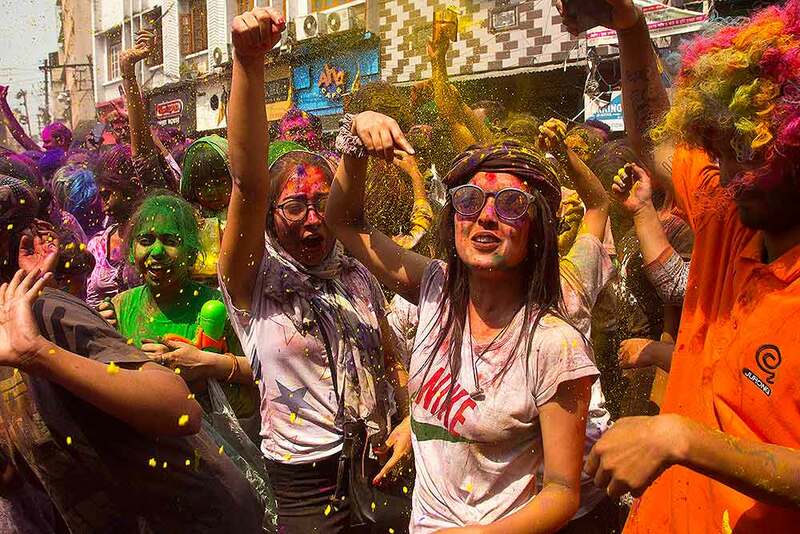 Girls celebrate holi in Ahmedabad. 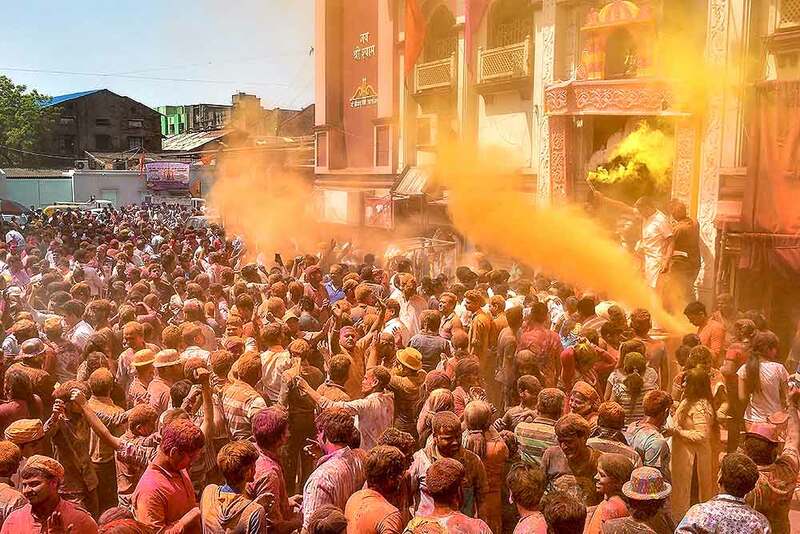 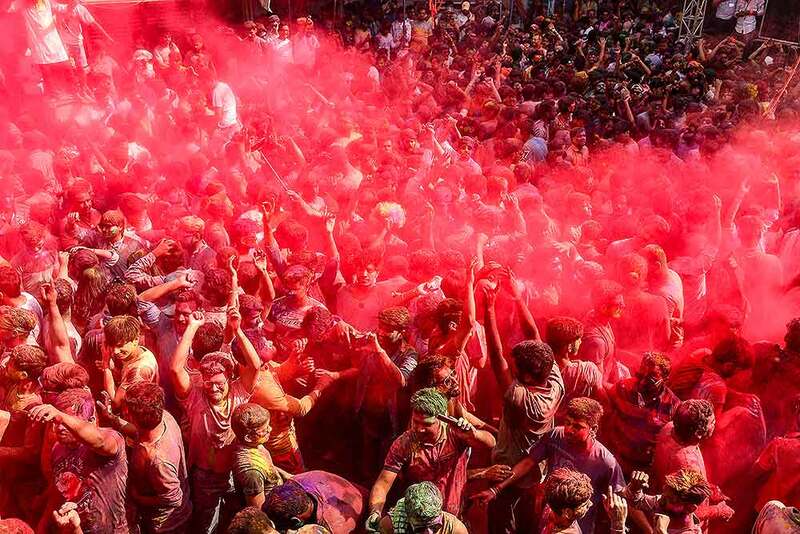 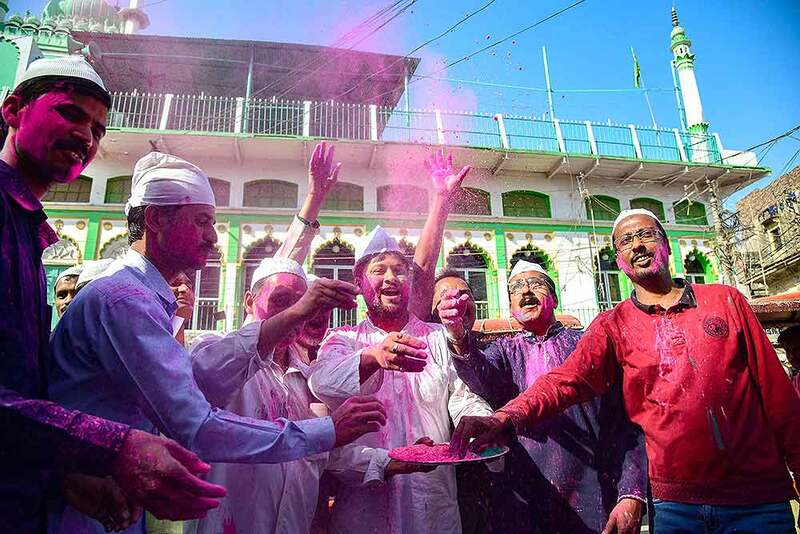 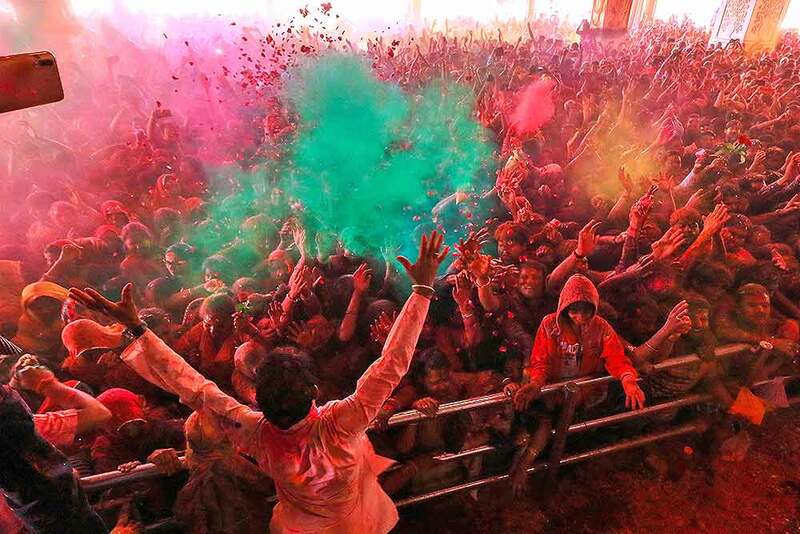 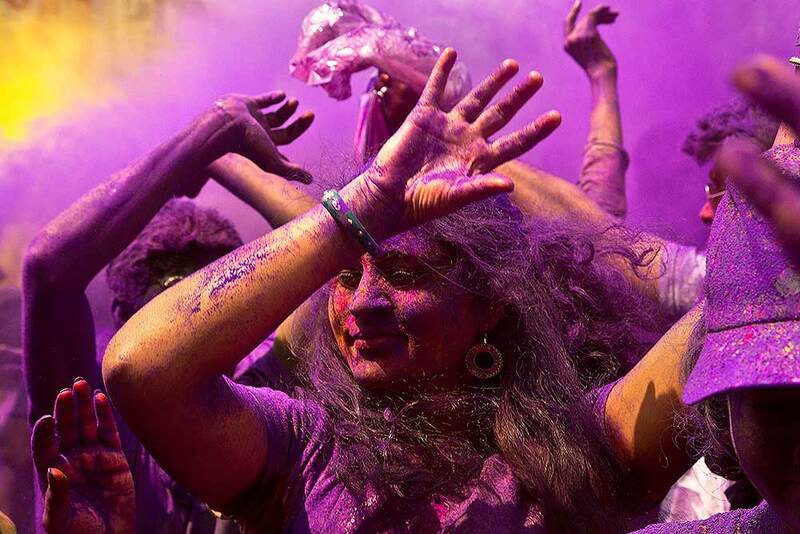 Devotees play Holi at a Temple in Howrah district of West Bengal. 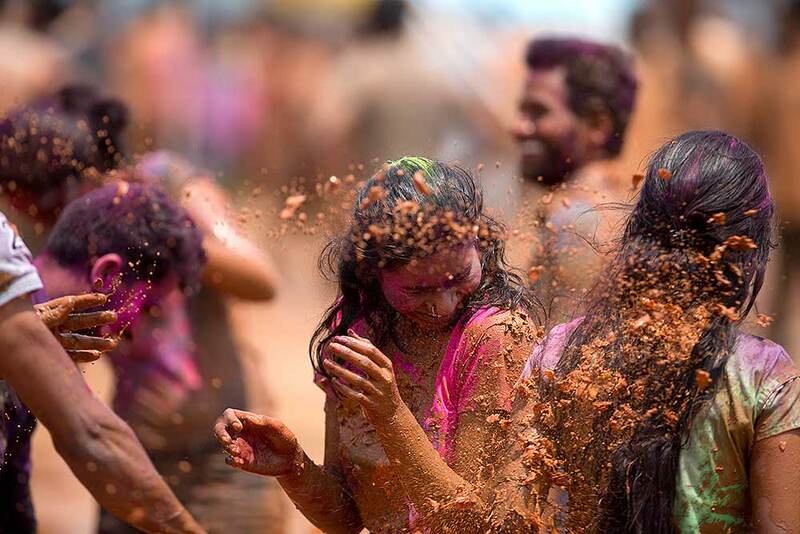 People dance during celebrations marking Holi, the festival of colors, in Guwahati. 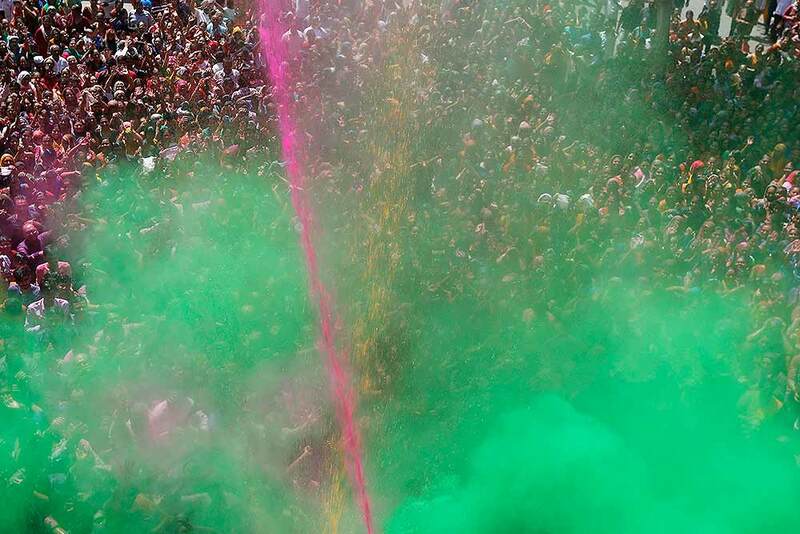 People play with colored powder to celebrate Holi, the festival of colors, in Guwahati. 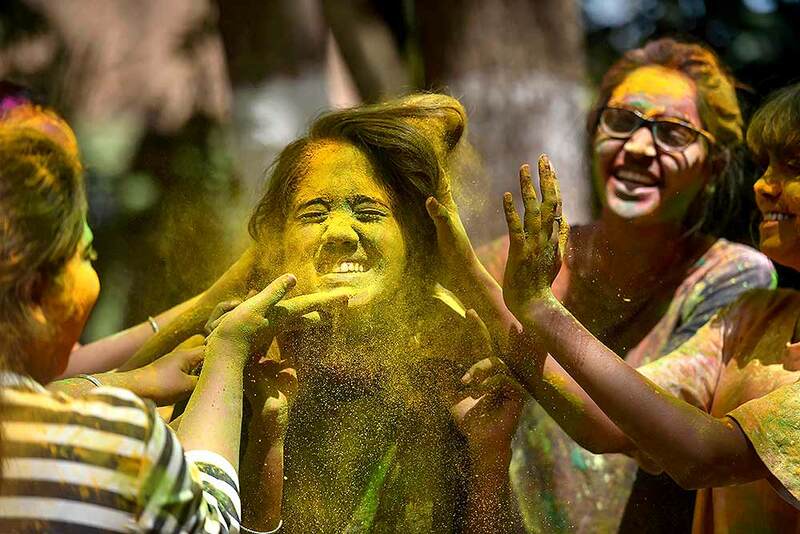 Girls play with colored powder to celebrate Holi, the Hindu festival of colors, in Guwahati. 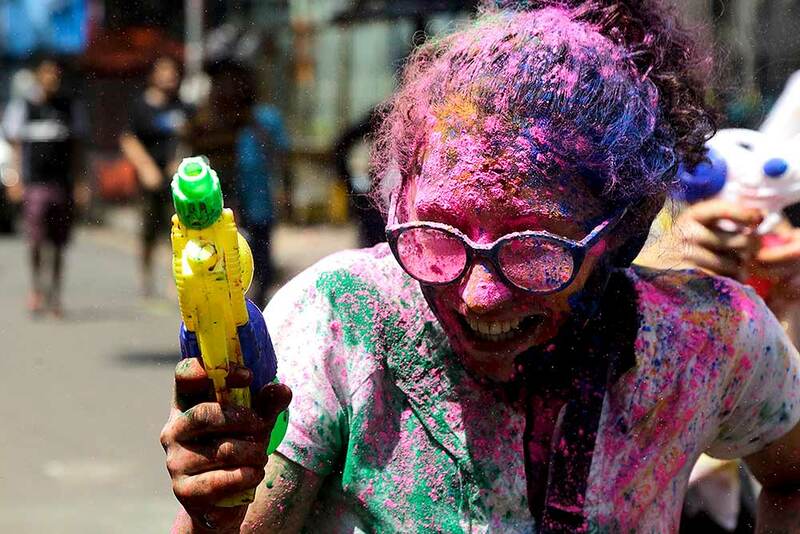 A girl gathers color powder from the ground during celebrations to mark Holi, the Hindu festival of colors, in Guwahati. 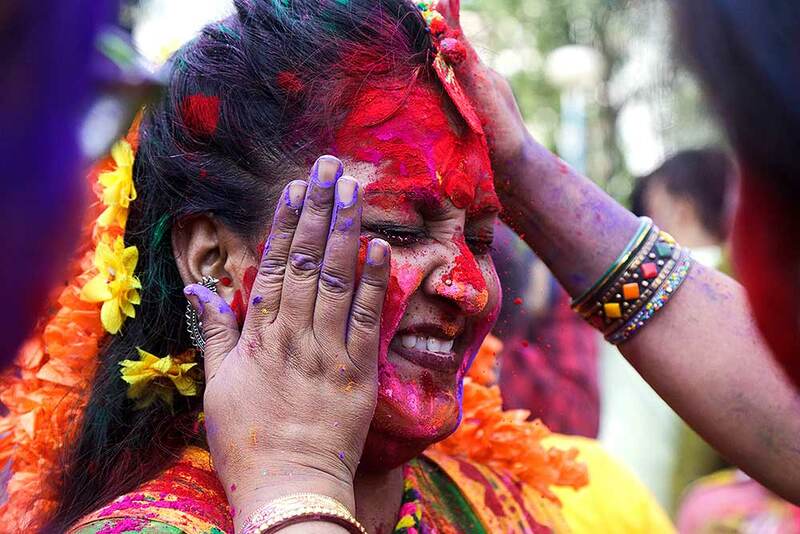 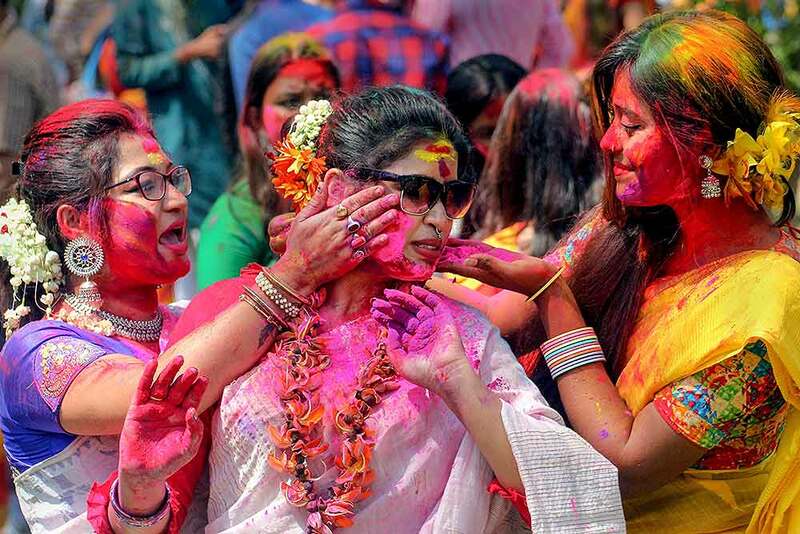 A woman reacts as her face is smeared with colored powder during celebration of Holi, the festival of colors, in Kolkata. 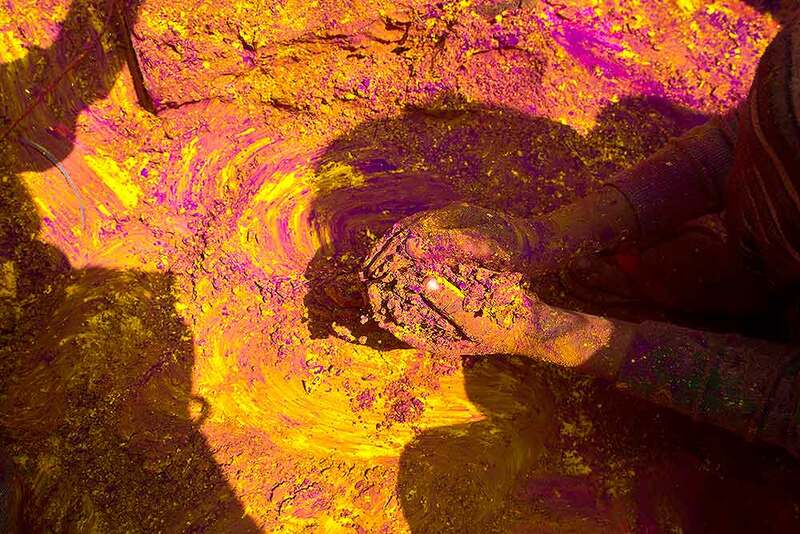 People play with mud as they celebrate Holi, the festival of colors, in Hyderabad. 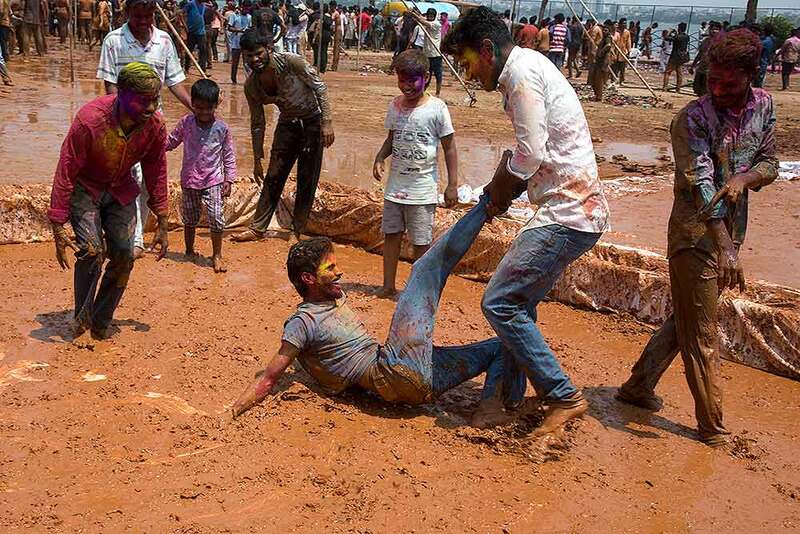 People play in mud as they celebrate Holi, the festival of colors, in Hyderabad. 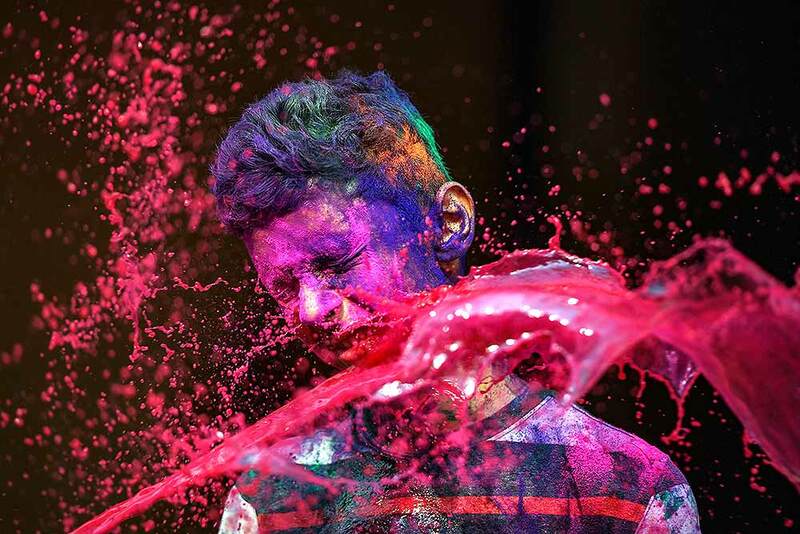 A man sprinkles water on revelers celebrating Holi, the festival of colors, in Hyderabad. 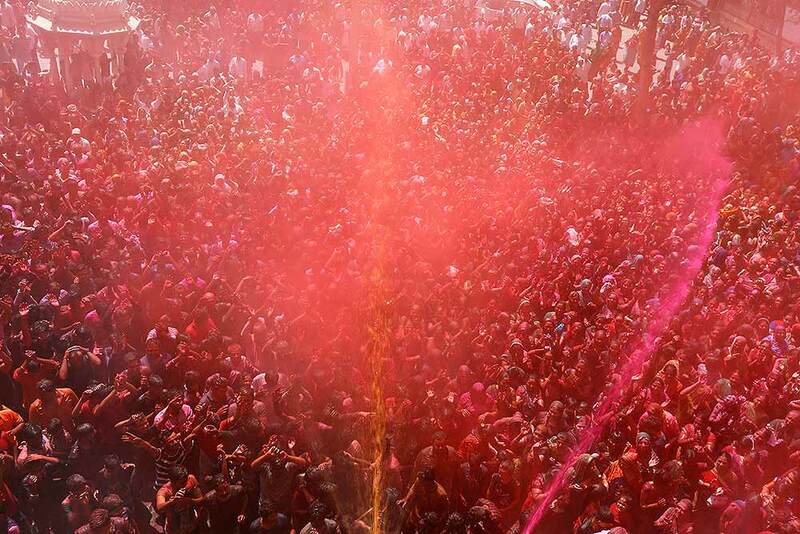 Colour water is being sprayed over devotees at Kalupur Swaminarayan Mandir during Holi celebrations, in Ahmedabad. 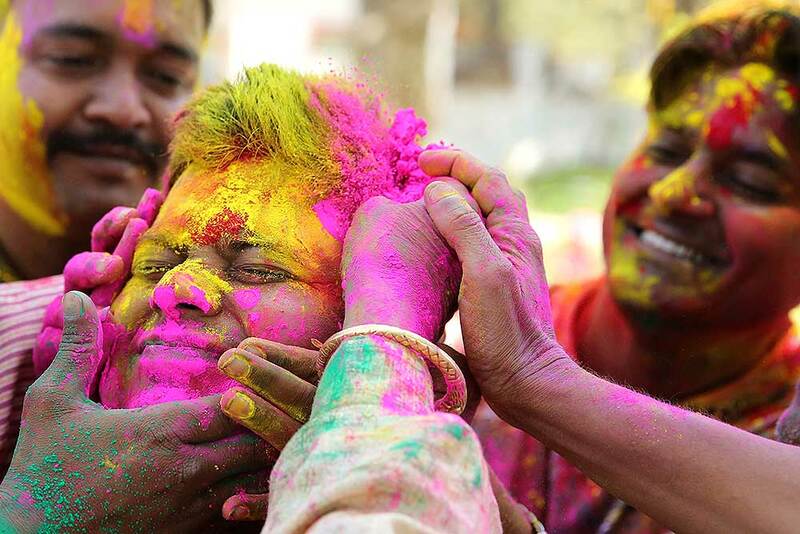 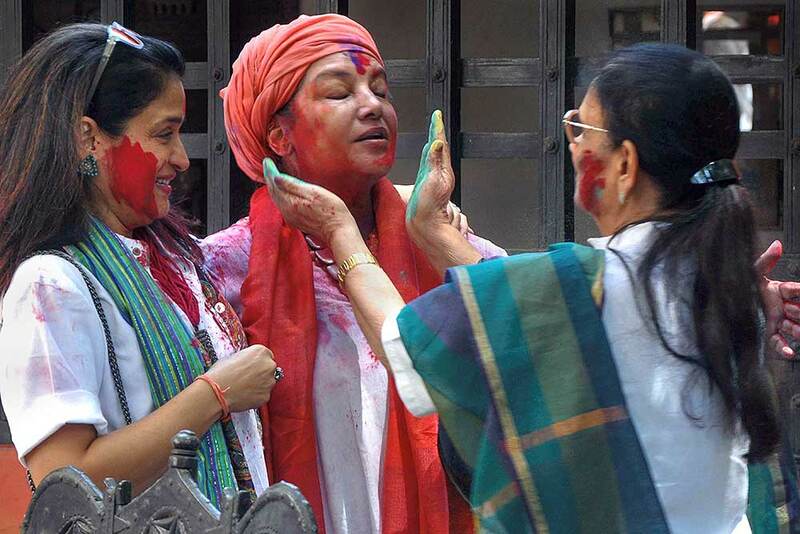 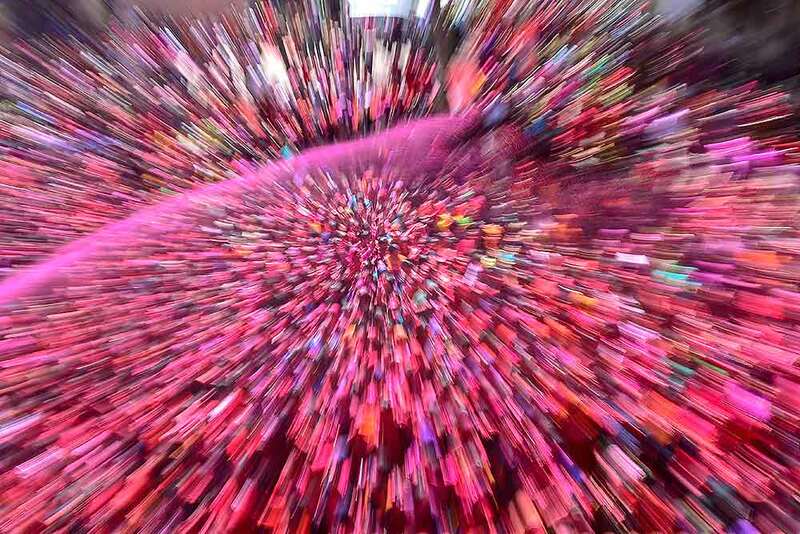 Devotees play with 'gulal' on the occasion of Holi festival celebrations at Govind Dev Ji temple, in Jaipur. 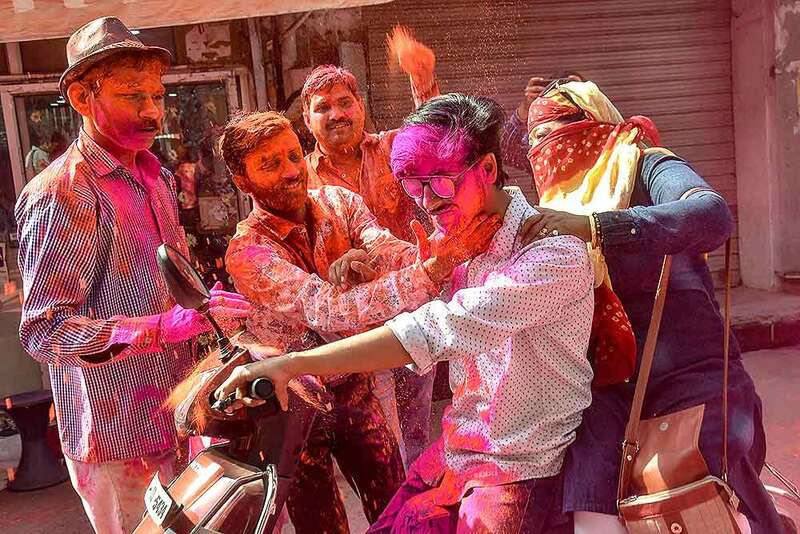 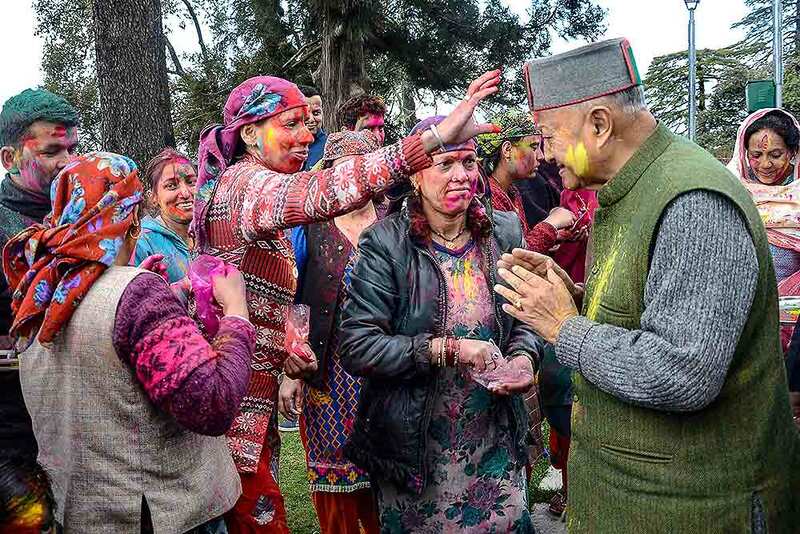 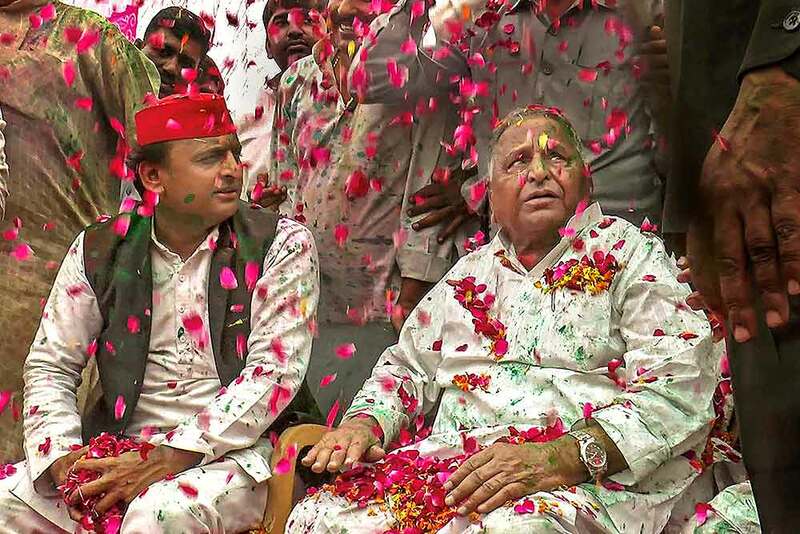 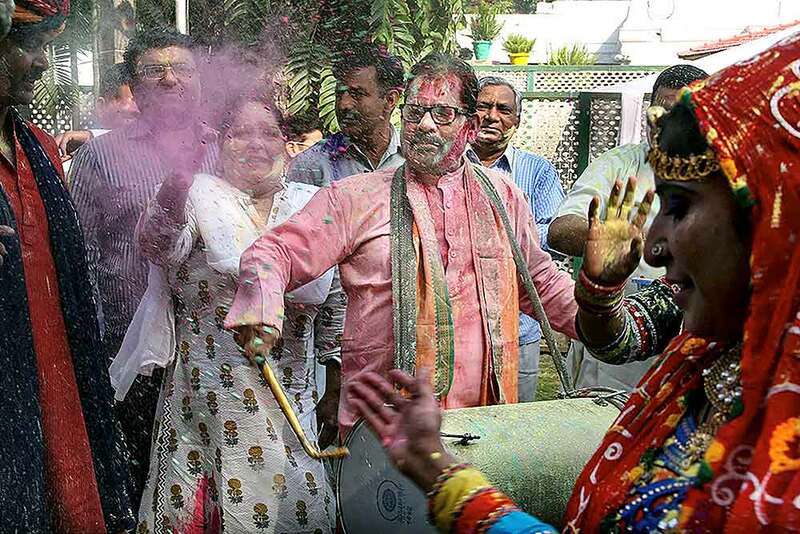 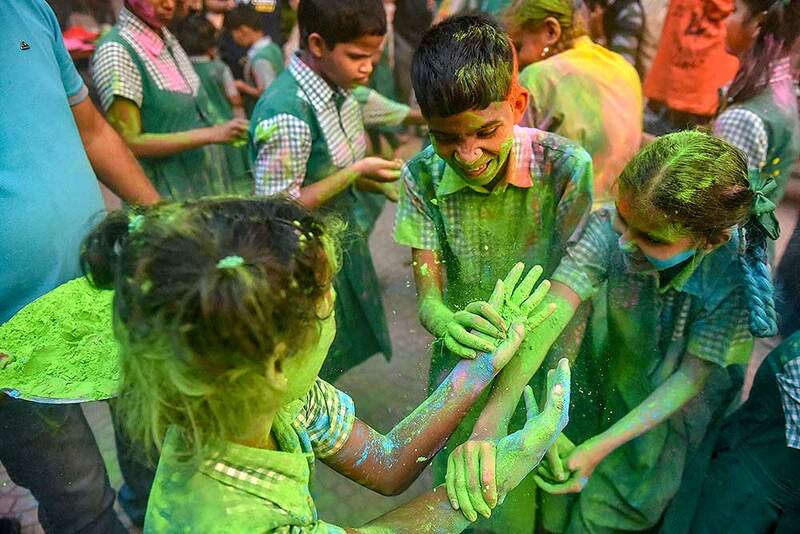 People smear 'Gulal' at each other during 'Holi' celebrations, in Lucknow. 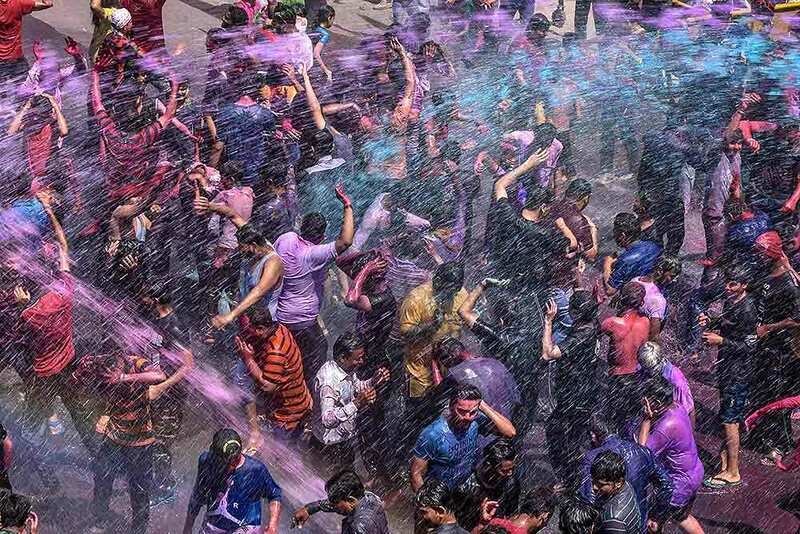 Priests spray colored water and powder on devotees during celebrations marking Holi at the Swaminarayan temple in Ahmadabad. 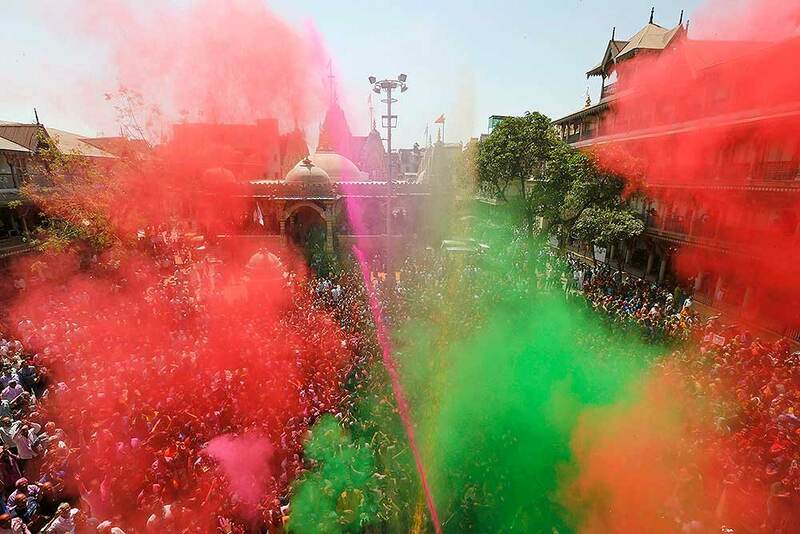 People smear colours at each other during Holi celebrations at Durgiana Temple in Amritsar. 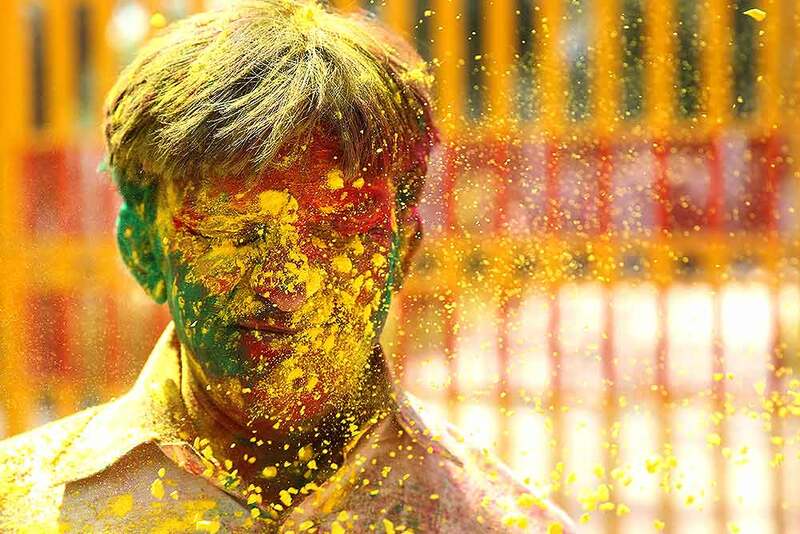 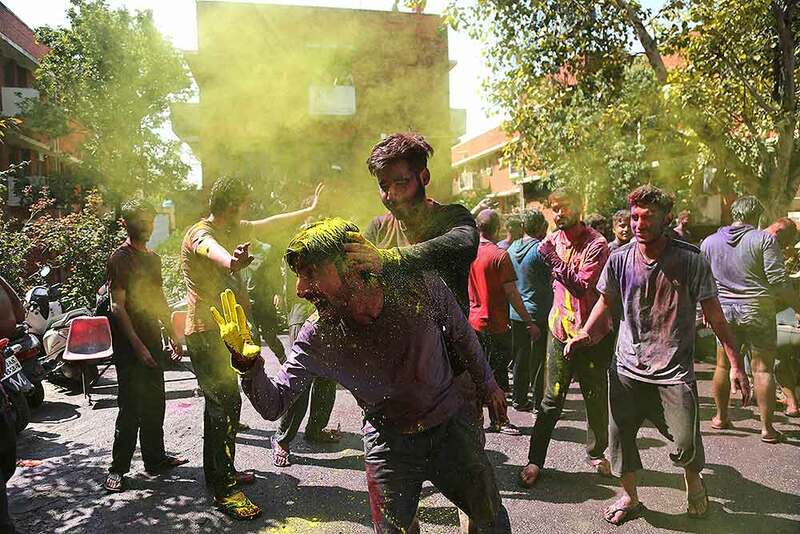 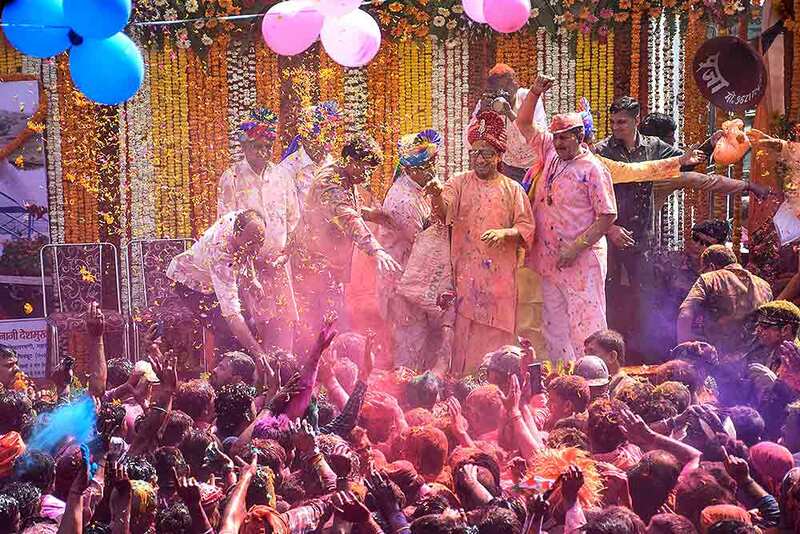 Devotees cheer as colored powder and water is sprayed on them by a priest during celebrations marking Holi at the Swaminarayan temple in Ahmadabad.